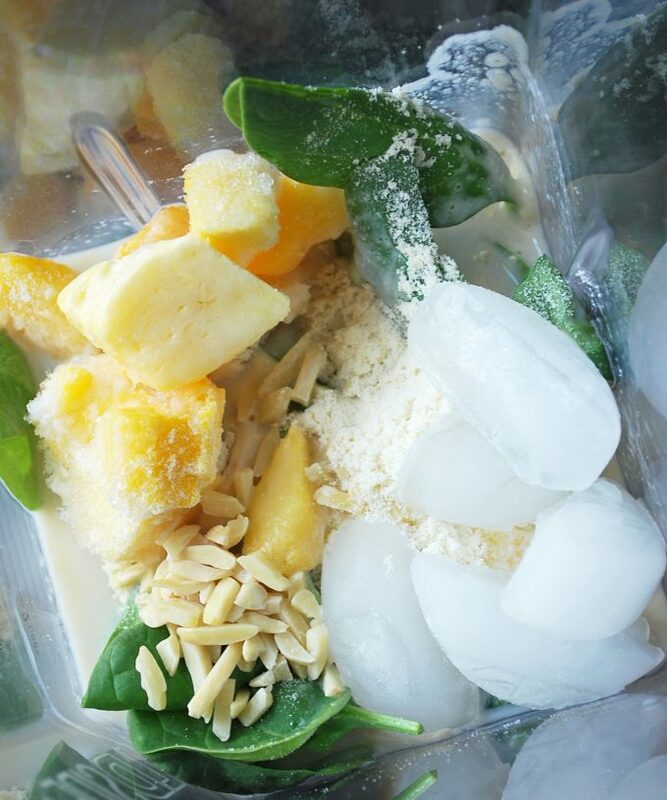 This Vanilla Mango Supershake is, hands down, my favorite supershake concoction to date. I used Earth Fed Muscle Vanilla protein powder to make this recipe and it’s super tasty!! Supershakes are a great way to enjoy a well-rounded, nutrient-packed meal on-the-go. This vanilla mango supershake is as nutritious as it is delicious and you can whip it up in less than 5 minutes. If you feel like you don’t have time to eat a healthy meal with a busy schedule, a supershake is the way to go. Try to include a healthy lean protein source, like whey or soy protein powder or Greek yogurt. Then add a handful of spinach or kale, 1/4-1/2 cup of your favorite frozen fruit and a thumb-size portion of healthy fat from nuts or seeds. This way, you’ve included all of the macronutrients that make up a nutritious meal, you’re getting 20-30 grams of protein, healthy fat and nutrient-dense carbohydrates from fruits and vegetables. This shake also makes a great post-workout meal to feed your muscles and replenish glycogen stores from the healthy carbohydrates. Drink up! It does a body good.